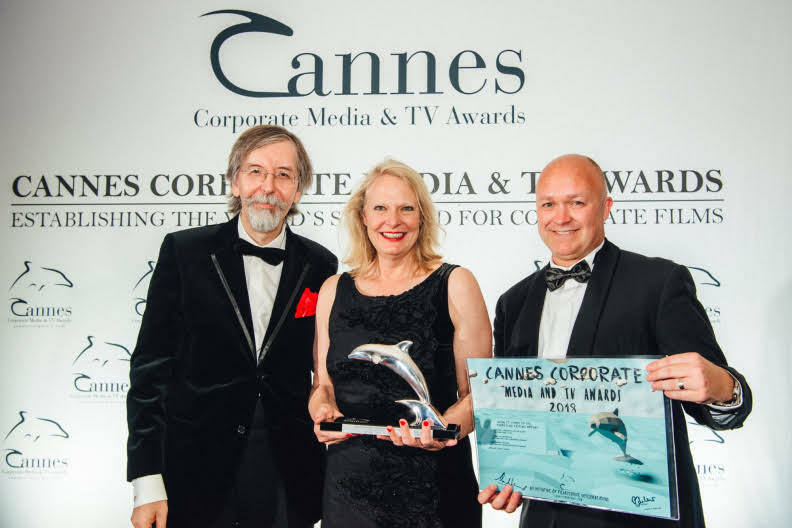 (Left to right) Alexander V. Kammel, Founder Cannes Corporate Media & TV Awards, Suzanne Cornelius, Research Associate, Culver Company, Bob Terjesen, Manager Damage Prevention, National Grid. National Grid’s Public Awareness Department partnered with Culver Company to develop this short video to enhance excavator safety around natural gas lines. Their goal was to use compelling visuals and memorable messaging to promote safe digging practices among excavators throughout service territory in the US.